When I was eight years old, I was a huge fan of video games. My parents had bought me a computer with a copy of Windows 3.1 and I decided I was going to make my own game. So, since Google had yet to be invented, I walked to the local library and checked out a book on QBasic, a DOS based programming language. 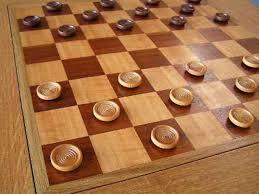 I wrote a game of checkers, it took me three months… the library fine was astronomical! A large portion of development today is done in the .NET framework, which has grown so much since its initial release in early 2002. The .NET framework really gained popularity with version 2.0 when a large portion of upgrades were made and it was packaged with Microsoft’s Visual Studio 2005. Now, a mere decade later we are at version 4.5 which allows developers a vast array of options to create complicated tasks with less development time. With the addition of the software architecture MVC, Entity Framework and RAZR syntax, .NET has become a very powerful tool to create versatile applications that once could only be dreamed about or accomplished with difficult proprietary languages (ActionScript, Silverlight, PHP, etc.). With all the advancements, I think it may be time to try and build another game of checkers… or I could just go to the app store.